One thing we do at the end of each month in The Library@HHS is to send a "statistics" report of library activity to our administrator. Here is what Ms. 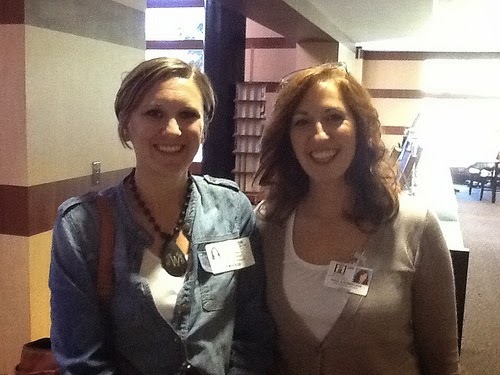 Crystal Camp, my co librarian, sent to Principal Hulin on October 1, 2013. 2816 students signed in with individual hall passes. The Library Staff provided all 9th grade students (approximately 800 students) with an orientation to the library where students learned about OverDrive, WEPA printing, Destiny Quest, and Easy Bib. Mrs. Camp and Mrs. Robertson visited Ms. Gannon’s classroom to teach students about OverDrive and Destiny. Mrs. Camp visited Mrs. Westerlund’s class and Mr. Walkers classes to teach student about the Alabama Virtual Library. Mrs. Robertson created a video tutorial on how to make a shared Google Drive folder for students to turn in assignments for Ms. Kemp. Mrs. Michaels created a one day service request form for students. Since 9/16, we fulfilled 56 students requests for iPad help. Mrs. Latta laminated for teachers and also printed many posters. She also assisted Coach Kervin with making an instructional game for his class. 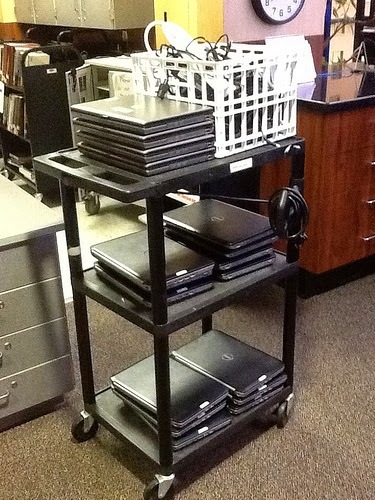 Ms. Robertson and Ms. Camp scheduled 133 teacher calendar requests to book library space, labs, laptop carts, etc. Heidi Neltner created an awesome Infographic of her library stats and has now inspired me to try my hand at it as well! Be on the look out for my Infographic coming soon. We have five main areas of the library can teachers can reserve to use for their classes. 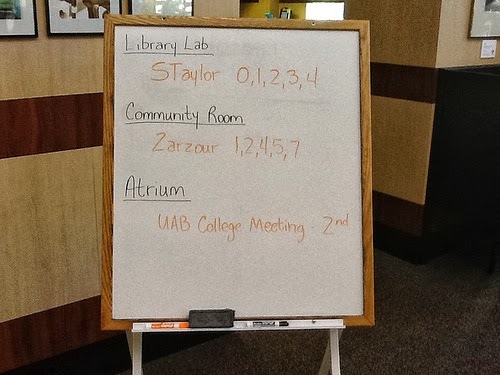 They include a computer lab, library right, library left, the atrium, and the community room. 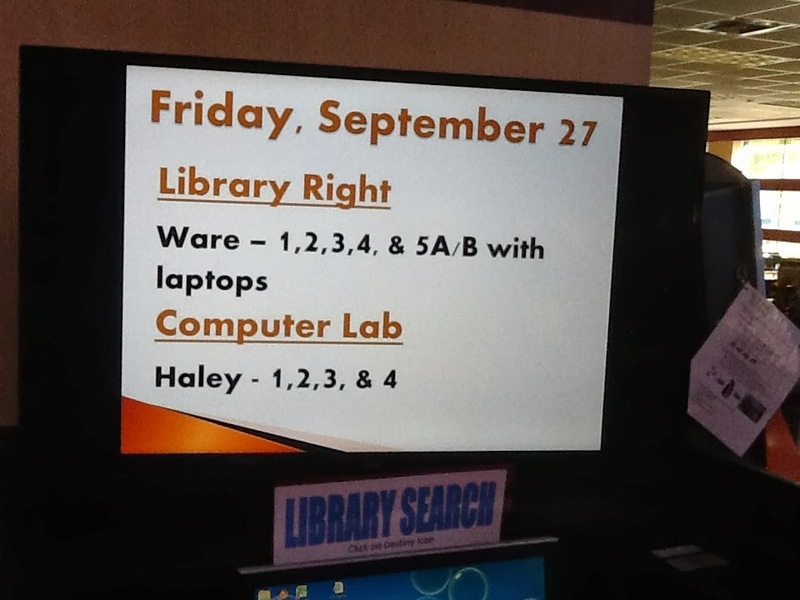 If the lab is full we offer to set teachers up with laptops on either the right or left side of the library. 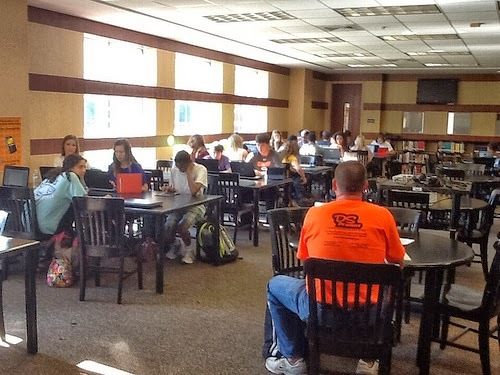 Mr. Ware's classes were in the library Monday, Tuesday & Friday. 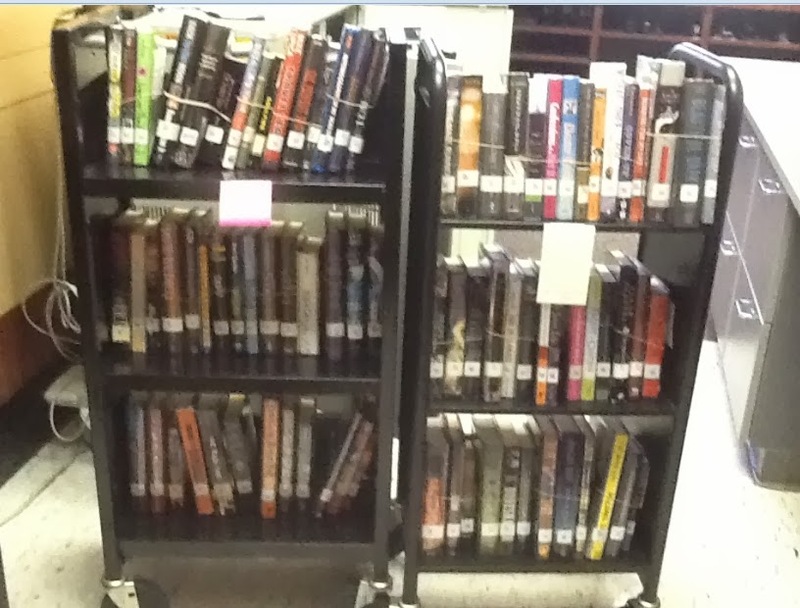 We pulled books for them to use as research sources and also set up laptops for his students to use. Juddie Walker from Boaz High School came to visit The Library@HHS Tuesday, October 1, 2013. 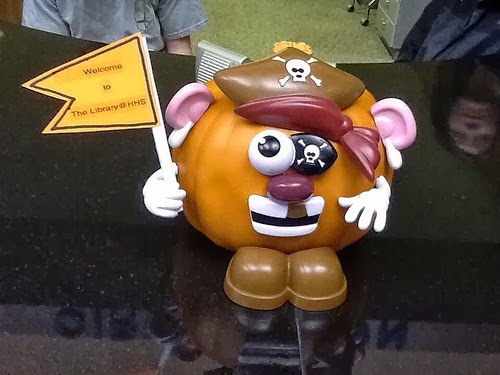 Visiting other libraries and seeing first hand how other librarians run their programs is some of the best professional development you can get. This is Juddie's first year as a librarian and she is already full of great ideas. One of the most important things Juddie is doing in her library is change the perception of the library to a positive, active, engaging environment. 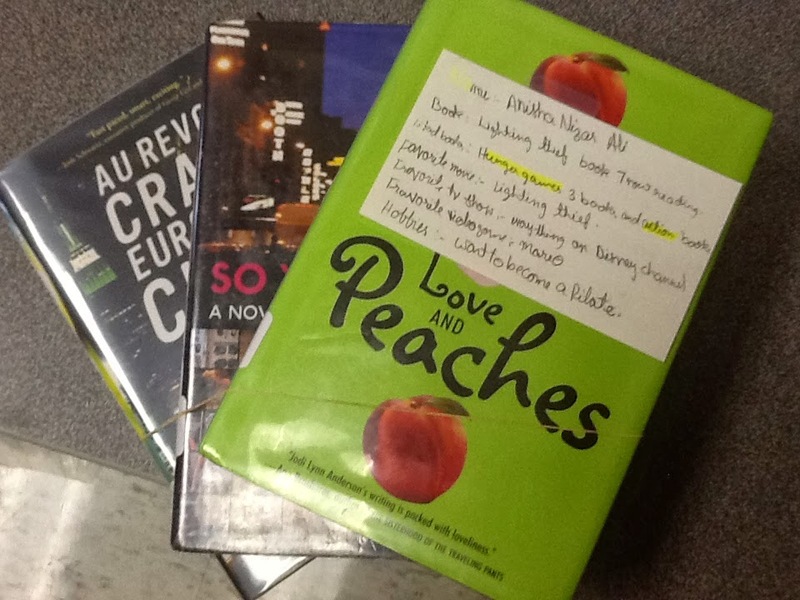 We then take the index cards and find three books that best suit each student based on interest indicated on their index cards as well as the Lexile level indicated by the teacher. 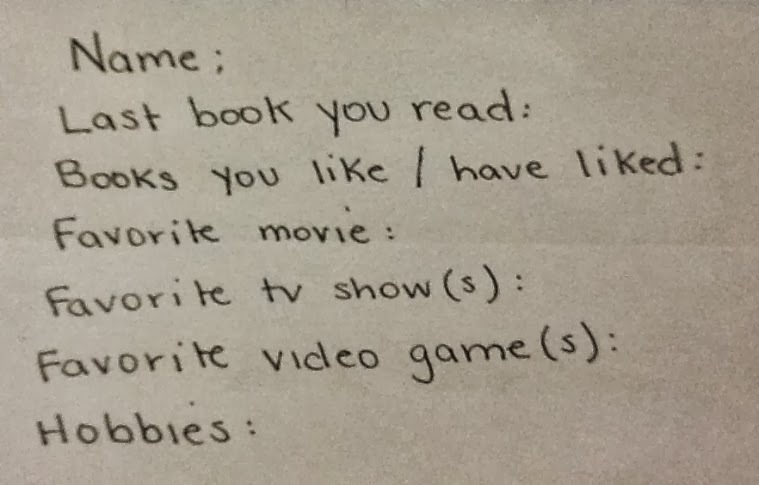 Ms. Tew is scheduled to bring her students to the library next week to select the book or books they want from our selections or they can choose for themselves. 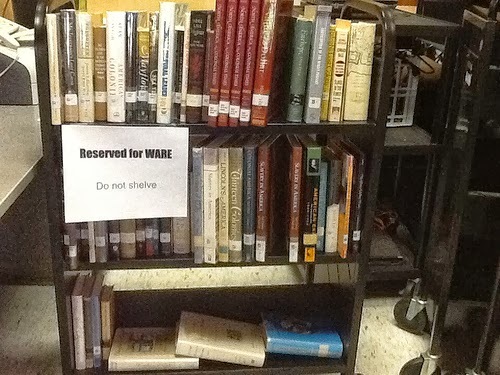 We also changed our signage in the library to match the new high tech nature of our school. We moved form using a dry erase board on an easel to a digital display. Since there are 5 distinct areas that are used by teachers our signage is important so that students know where to go for class. 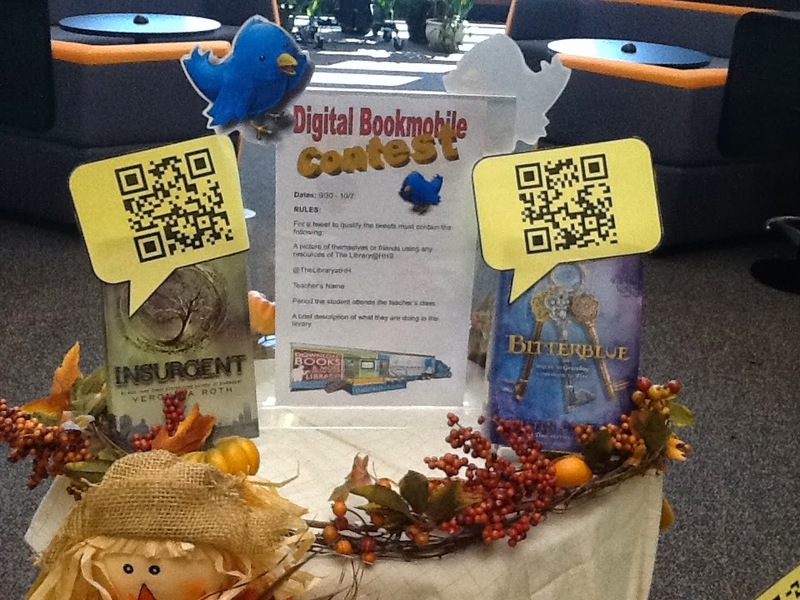 This week we also kicked off our Teen Read Week contest for the 12 coveted spots to visit the OverDrive Digital Bookmobile during Teen Read Week. 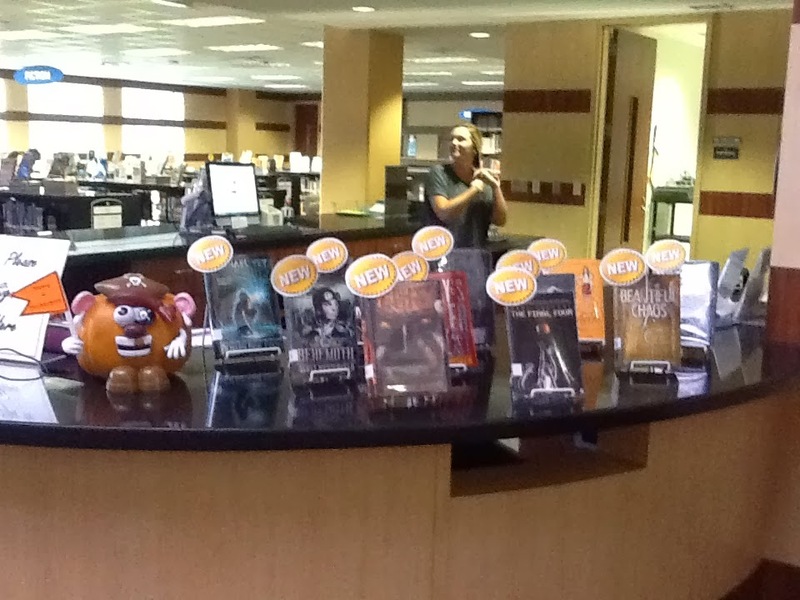 I also took a moment to put together a "NEW" book display right near the entrance of the library. I love the personal shopper idea! 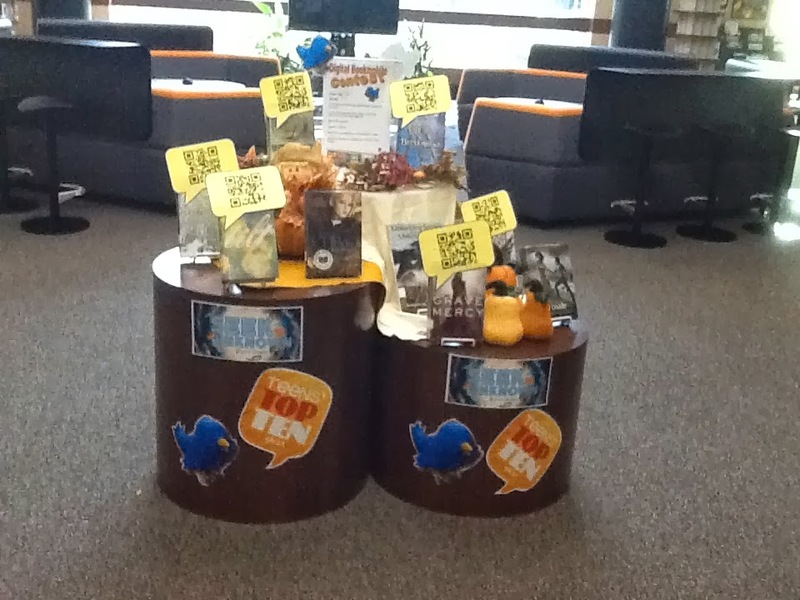 You do an incredible job of documenting your displays and library visitors - such a great idea to record those things!